Us girls always want something we can never have, especially when it comes to hair. It’s a well-known fact, almost etched in our DNA that those of us with curly hair would want it to be straight and smooth as a silk curtain and those of us with straight hair long for bouncy, playful curls. We are never quite satisfied with the length of our hair either. When you see models on the runway or in perfume commercials with long, beautiful, feminine manes, you suddenly wish you were Rapunzel. When your favorite movie star gets a Pixie cut, you desire your hair to evaporate over-night and long for the boyish charm. In the same way, vintage Christmas posters make you wish you had a 20s flapper shoulder-length cut. Not to mention all the bad hair-days in the world! But there is a way to have it all. And that way is called ‘hair extensions’. So, if having complete freedom when it comes to hair hasn’t already convinced you to get some hair clip extensions right now, take a look at these 10 reasons why they really are the best. 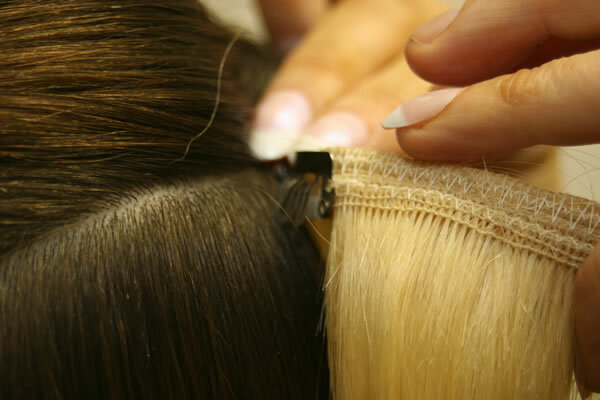 Unlike other types of hair extensions, clip-ons do not require any glue or long term bonding agents. They simply use a ‘clip’ that attaches to the roots of your natural locks. This also means they are incredibly easy to put in, taking just a few minutes to do so and even easier to take off, should you wish to wash or change them. Do some research online before you purchase your extensions. Also, try to buy them from well-known sellers that have received good reviews from other girls out there in search of their perfect Rapunzel persona. For example, Remy clip extensions have always been a favorite among fashionistas in both the US and the UK and considered the best clip in hair extensions. They know all the ins and outs of luxurious hair and they’re dying to add a well-deserved inch or two to your locks. As shown above, flexibility should be the main reason for switching to hair extension clips. Depending on your daily schedule, the time of year or different events you have to attend to, such as weddings, baby showers, Christmas parties or Halloween, you can easily change your hair and your whole look to match the occasion and your current mood. Try Disney Princess for Halloween, complete with butterfly hair clips for a perfect look, a long pony tail kept in place by a banana clip for the office, beach waves for the Christmas Eve party and soft, classy curls for your wedding. Add feather or flower hair clips to your now long and luscious locks to get the boho chic look you always admired on Pinterest . Even some curly clip in hair extensions will do if you’re eager enough to have curly hair. It’s all about color, color, color! 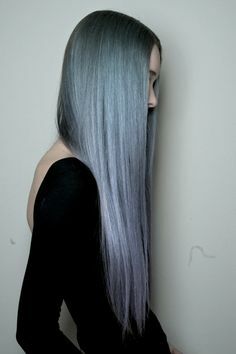 If you were up to speed with the past years’ trends in hair and make-up, you have probably wanted ombre hair or to die it in a kooky color, like marsala, forest green or gun metal grey, but you never had the guts to do it. This is your chance to go crazy and add beautifully colored extensions to your hair. Or maybe you want to keep it classic, but cannot decide between blonde, red and black? No problem. Extensions will help you out. Just remember to take your natural color into consideration and match your faux hair to your own. Hair clip extensions are, hands down, the easiest way to give your hair a boost. Whether you want to add length, volume for a thick head of hair or color to your natural tones, extensions are clearly the way to go. But most of them are difficult to use and require you to visit a salon where you can have them put in and taken out. In consequence, going regularly to a salon to have them taken care of means spending a lot of money and also, exposing your hair and your scalp to chemical and heat-induced damage. But not with clip on extensions. They’re so easy to maneuver, you can actually do it yourself at home, whenever you feel like it. Bald spots are not something to be toyed with, so clip-ons might be the best solution. Clip on hair extensions are also the cheapest. Mainly because, as seen above, you cut down on salon service. 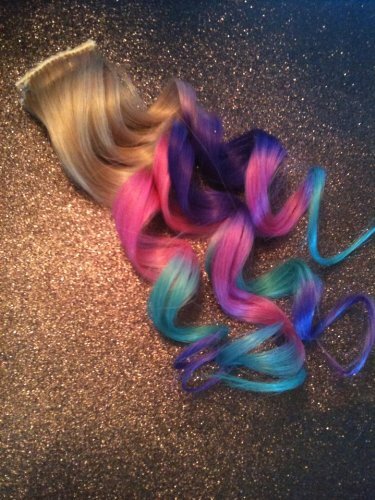 You can find cheap, clip in human hair extensions available to buy online, only a Google search away. Reviews show how Brazilian extensions, both straight and curly, are some of the cheapest and most coveted hair add-ons out there. Their advantage is that, being made of human hair, rather than artificial strands, they look extremely real, rendering your head-piece to art level. The clips themselves, used to fasten the hairs are very small and easily concealable. One important thing to remember when attaching the extensions at home is to make them look as natural as possible. It’s also a good idea to have fun with it, because this is your chance to finally get the look you always dreamed about. Don’t be afraid to add feather extensions to your hair, pretty and colorful bows, alligator clips or even claws for a retro 90s look. Metal embellishments are for when you really want to take it up a notch, but don’t say no to those either. Remember you had change and variety on your mind when you decided to do this, so a little pink bow might make your whole day. Many celebrities nowadays are wearing them and, usually, the beautiful, perfect manes you see them sport at events and on the red carpet have extensions to be thankful to. You can always take a cue from your favorite Beyonce or Jennifer Lopez-type and add some luxury to those locks.